I buy a local newsletter now and then basically to see who in Glasgow and surrounding areas (Dumbarton features regularly) has been shot/stabbed and dubbed up. 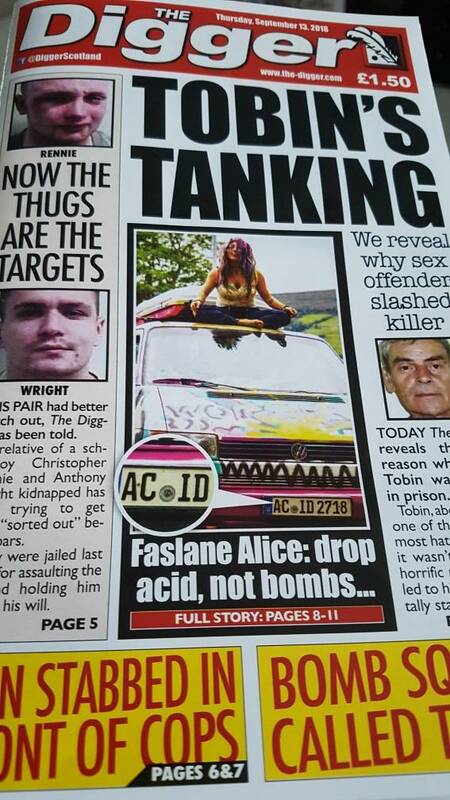 This weeks made me smile...Oli, Alex, Rob and me we ran past the peace camp at Faslane after our Indian...this Dutch protestors mantra... "Drop Acid not Bombs"... I couldn't think of anything worse tripping out my nut in the middle of a nuclear war !